Religious Freedom in America is threatened by the teachings of the LDS Church of Jesus Christ of Latter-Day Saints. We must protect our religious freedom. Religious freedom is threatened by the Church of Jesus Christ of Latter-Days Saint because history shows us that sometimes a handful of men, dedicated to a cause can gain control of government and the right to religious freedom. (Witness Lenin’s gaining control of Russia in 1917 and Hitler’s rise to power in Germany in 1932) We must be vigilant in our efforts to protect our freedoms of thought, speech and individualism. 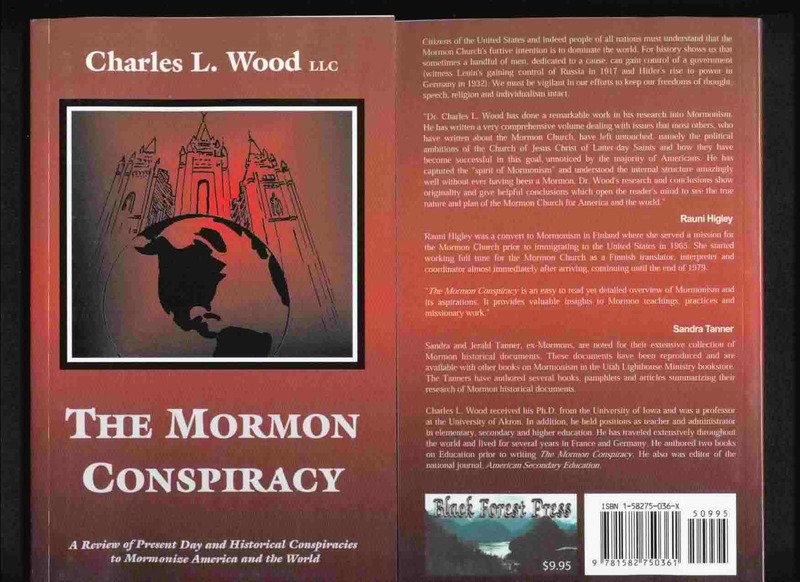 America controlled by the Mormon Church is written about in further detail in the book website The Mormon Conspiracy or at amazon.com. The Mormon Church practices defy logical reasoning and molds minds into obedience to the Mormon doctrine and the teachings of the church’s General Authorities. The church members religious freedom erodes as the Mormon church applies: the baptism for the dead, the temple ceremonies, the authoritarianism of the religious leaders, the demand that women be subservient to their husbands, the sacred garments, and the general “big brother” control of Mormon Church members by the priesthood to insure obedience to LDS doctrine that prevents the creation of freedom loving, and open minded people who are needed in a vibrant, dynamic, and democratic society. The indoctrination process that the church hierarchy has developed, over its 170 year history, into a controlled and sophisticated system, floods members homes and minds with church propaganda thus limiting their religious freedom. This propaganda is designed to convince them that the Church of Jesus Christ of Latter-Day Saints provides the avenue to a glorious everlasting life after death. Missionaries and most of the general membership of the Mormon Church members are not aware of the church’s plan to deluge the United States and the world with Mormonism. It is also thought that the church hierarchy is so indoctrinated into church beliefs that perhaps they too may believe in the propaganda that they are promoting.